1. Hours – Consumers expect to see accurate information on your listing. 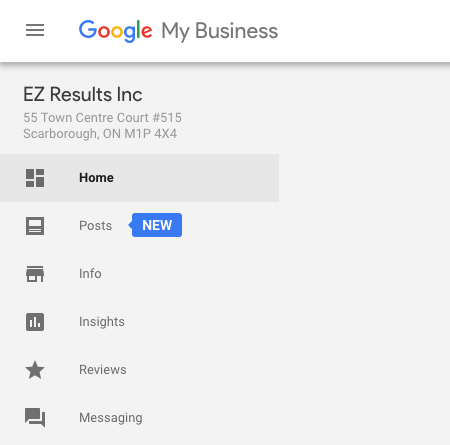 Your website should reflect the same hours as your GMB (Google My Business) as Google has been know to, on occasion, over-write information. 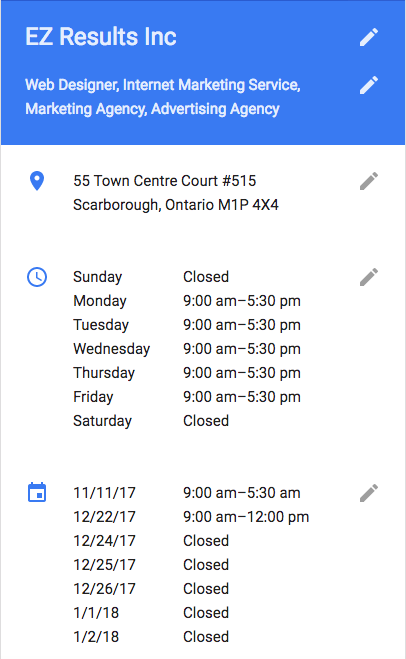 Pay close attention to typical holiday closures as Google can implement a warning sign indicating that you might be closed. Remove any anxiety a potential customer might have by ensuring both your site and your GMB are accurate and in-sync. 2. Posts – Posts are a huge opportunity for car dealers right now. Use Posts to showcase your philanthropic endeavours, gift certificates, your unique value proposition, holiday hours and events. Using Posts will separate your dealership from the crowd. Don’t forget to use UTM parameters to test the results of your Posts. 3. Images – Now is the perfect time to review what images are being displayed on your GMB. Take the time to add new ones and delete old and irrelevant ones that have been uploaded over time. Update your profile so that it looks good across both desktop and mobile devices. Upload images of your staff; interior and exterior photos make it easier for customers to find and interact with you. 4. Messaging – GMB is now rolling out the ability to have chat/instant messaging on your GMB page. We highly recommend testing this new feature to see if it’s right for you. However, you’ll want to make sure you have the team in place to handle the conversations. For example, the BDC or internet marketing department might be a better fit for this role rather than a salesperson who may be away from their computer. Most dealer CRMs now have a text messaging tool built in allowing you to have easy communication with the customer via text messaging . We strongly recommend using your crm to manage your text messages rather than an individual’s cell phone. 5. Housekeeping – Take care of your duplicate GMB listings, citations and website NAP and map pin locations. 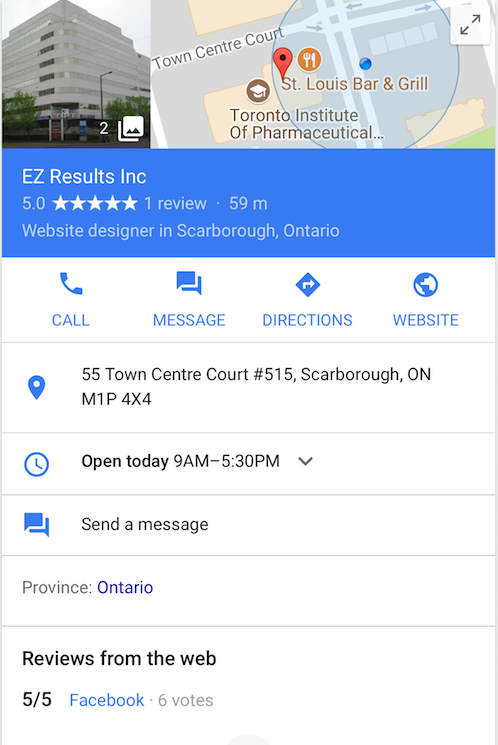 Having accurate information is key for your local SEO. When Google is presented with inconsistent information it will often show the incorrect data or worse – not show your listing at all. 1. Photos – Time to break out your cell phone and start to capture the culture of your dealership. We all know that people buy from companies that we know, like, and trust. Why not make it easier by sharing what goes on at your dealership? Get creative with your images by sharing pictures of your decorations, staff, parties and your community. It will go along way to building that trust. 2. Philanthropic – If your dealership is involved with the community, in charity work, or with sponsorship programs, we highly recommend that you highlight this in your feeds. Let people know that you are not just a car dealer but are actively involved with the people in the community. For instance, your customers will want to know how for every sold vehicle you are donating a turkey or a gift to a less fortunate family. Let us know if you have any other suggestions and we will gladly add them to this list.